How to visit Iceland in Winter - detailed guide to finding the best option for you - Self-drive or Iceland Winter Tours. Plus find out Tips and recommendations to discover the magical wonderland and plan your Iceland Winter Travel. You won't see whales and puffins in Iceland, but you can still see everything else. Days will be short yes. But because of the location it also means long sunrises and sunsets. The golden light makes the scenery even more magical and it is great for photography! It is not as touristy as Summer so you can enjoy the beautiful landscapes in peace - a lot less crowded! OK. So it is all great but you might say: but what about the weather and conditions, will traveling around Iceland in Winter be difficult? Because of the word 'ice' in the name and the closeness with the Artic circle, people imagine Iceland being extremely cold in Winter. Yes, 10% of Iceland is covered with Glaciers. However, surprisingly it is not that bad. For example average temperature in December is -1°C (30.2°F) and you can expect between -10°C (14°F) and 5°C (41°F) in February. Not as bad as Canada! But be sure you will have a lot of wind. Because the weather in Iceland is unpredictable, the driving is too. In theory, you can visit many places with a simple car as long as it has good Winter tires. The main roads are cleared quite quickly by the locals​. But you won't be able to ​explore side roads and all. See more info and tips in the Self drive option section. That is a frequent question: when is the best month to visit Iceland? - be it in Winter or in Summer... Well sorry to disappoint, there are not good answers. 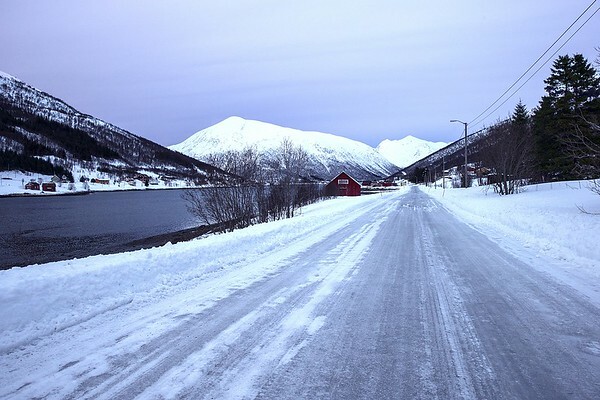 Early winter can be wet but you can have beautiful clear road with the top of the mountains covered in snow. I love those types of moments! If one one your main goal is to admire the aurora Borealis and you have the possibility to pick your dates, Look at the moon calendar, and avoid the days where the moon is big and bright because it will reduce how well you can see the northern lights. As you know, I love Road Trips. So you can set up your itinerary with a﻿﻿ll my ﻿﻿﻿articles﻿ on Iceland, book your car for example with Route 1 car rental which I used and really appreciated and book your accommodation with all the options on Booking.com. Note that the F-roads are not accessible in Winter. If you only have a short stay in Iceland, it might not be worth it to go rent a car. 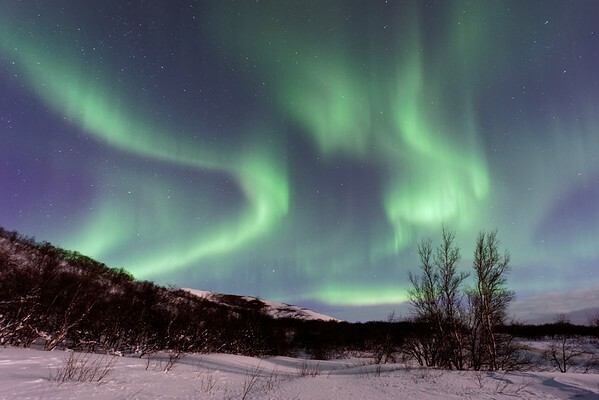 There are plenty of amazing day trips from Reykjavik that operates in Winter. This way your just sit back and relax watching the amazing scenery. I like booking via GetYourGuide with the reviews of people who actually went on the tour. 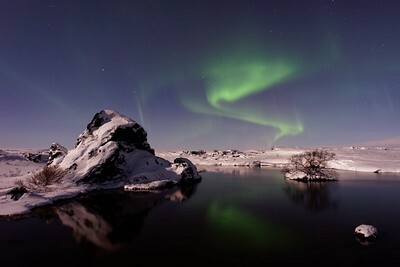 Your other option, very popular in Winter, is to book a full Iceland Winter Tour that will take you on a Road Trip with other travelers touring one or 2 regions of Iceland or doing a big tour along the Ring Road. CONS - You are stuck with the same people for several days and you cannot stop whenever you want. Whatever the option you choose, don't forget to purchase Travel insurance! I wish you a very smooth trip, but my policy is to better be prepared. I have personally always used World Nomads. Get a quote online here. Here are 2 videos from people you drove in Iceland in Winter. Experience can be different depending on the weather and if you hit a snow storm. But that should help you decide if you feel like driving. Otherwise keep going to see the Iceland Winter Tour Options. And always have warm clothes and food with you in case a snow storm happens and you have to wait for the road to be cleared. Just make sure you know how to drive on snow and ice (no breaking like crazy, nothing brutal...)​ and that you use a good rental car company. But if you don't feel like driving it is fine. Let's see you other options. 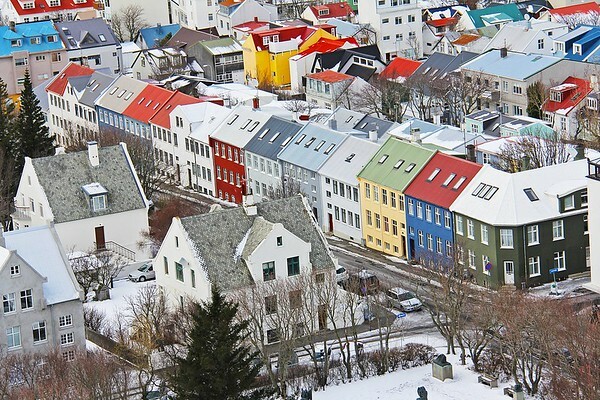 With a base in Reykjavik, you can pick day trips to different parts of Iceland everyday, and it between stay quiet or head to the blue lagoon for a spa day. You can even go see the Northern lights without driving yourself. Tours are organized picking you up in Reykjavik and taking you to dark areas, chasing the auroras. If you have several days in Iceland and want to cover more, it is best to take a multiday trip to be able to cover more of its amazing scenery. 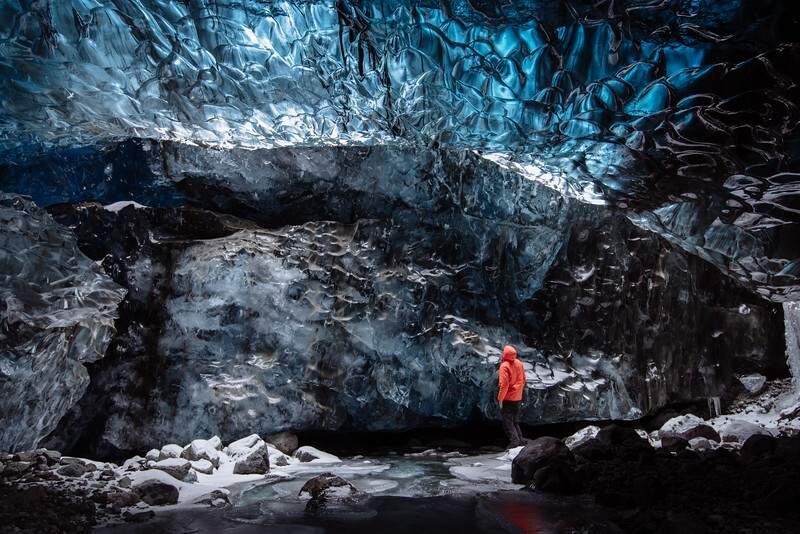 Planning longer holidays to really explore Iceland in Winter but don't want to drive? No Problem. Small group tours are a great way to explore the country and admire its various landscapes. This even include a Super Jeep tour in the Central Highlands - quite the experience! You will see what very few people experience. Of course it is pricey because of the logistics and access difficulty but what a memorable trip! With 6 or 8 days you can cover a lot more of Iceland. These tours will take you also to the North of the country, where in theory you will have more chances to admire the Northern Lights. Alright, now that you have booked you trip to Iceland this Winter (hopefully 🙂 ), it is time to plan what you are going to bring with you. Dear Roger, I am sorry but I am not a travel agent. I am a blogger. You need to contact local companies directly (e.g. https://www.discover.is/tours/custom-multi-day-tour/).